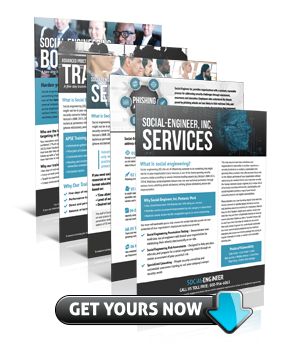 Social-Engineer, Inc. offers professional consulting services to assist our clients in the assessment of their human network. 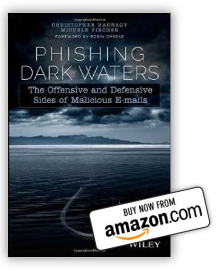 The strongest technical perimeters will not protect a company against an attack directed at its people. 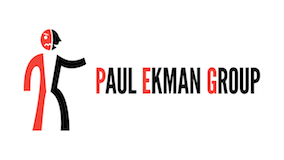 Our team will determine how vulnerable you are to a social engineering attack with the potential to breach your network, obtain your intellectual property, or even gain physical access to your site. 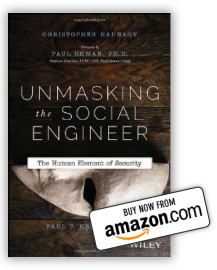 The Social Engineering Penetration Test is designed to mimic attacks that malicious social engineers will use to breach your company. For companies not yet ready to commit to a full SE Pentest, the Social Engineering Risk Assessment (SERA) is an online assessment and expert analysis of your potential risk designed to help you plan, educate, and prepare for a social engineering attack. 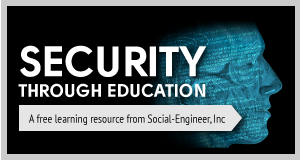 Be sure to check out our social engineering training courses!